PHILIPSBURG – With the retention of the Dutch passport weighing heavily in debates about St. Maarten going independent, National Alliance (NA) Member of Parliament (MP) George Pantophlet has come up with a proposal to satisfy both sides of the fence – independence from the Netherlands, but an agreement for the newly independent country to continue using the Dutch passport for 150 years. 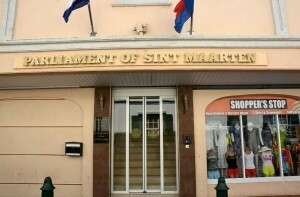 Pantophlet said in a sitting of the Central Committee meeting of Parliament with the Independence for St. Martin Foundation that the passport proposal was his personal viewpoint. He added that before he leaves the kingdom he wants three things for St. Maarten – the retention of the vastly powerful Dutch passport, 40 billion euros and an agreement for the Netherlands to provide vitally needed expertise for 10 years on their dime. MP Frans Richardson (United St. Maarten party) said the power of a passport all hinges on negotiation and discussion with partners, adding that’s what would happen if United States President Donald Trump decided to implement a visa for all Dutch passport holders. Richardson charged the Foundation with educating the people about the need for and the reasons for independence. As he has in the past, Richardson stated his support for independence, but noted this was his personal view and his party would have to decide on its stance. United People’s (UP) Party MP Theo Heyliger said a passport should not be the issue. The Dutch passport may allow hassle-free travel, but right next door – St. Kitts, an independent country, has as very powerful passport. “Full support” for independence was given by Romeo Pantophlet, NA parliamentarian. Samuel advised the Foundation “to come back” to Parliament with a talk about independence in a less emotional manner. He deemed the presentation by Foundation members as “too emotional.” He also called for a definition of a St. Maartener as he sees this as necessary in any independence move. In response, Foundation member Elton Jones said in the 1970s Puerto Rico had referenda almost every two years as the need for more authority arose. Dr. Rhoda Arrindell, also a Foundation member, said the goal is to see this referendum come before the end of the current parliamentary term in 2020. However, that goal cannot be reached unless Parliament or Government tables legislation to regulate the holding of a referendum and to outline how any result is dealt with. The need for legislation to flesh out the right to referendum as given in the Constitution was reiterated by Parliament Chairwoman Sarah Wescot-Williams. She had underscored this void existing between what the Constitution allows and the actual holding of a referendum when the Foundation first appeared before the Petitions Committee of Parliament with its request some two months ago. Since then, there has been no move to draft legislation from either branch of Government. The referendum ball is in the court of MPs, many of whom are proponents of independence for years, and that of the Council of Ministers. Lake Jr. outlined to Parliament that the Foundation’s call for a referendum on the future constitutional status of the country was to get the sentiment of the people on independence or staying with the Dutch Kingdom. “It is nothing more or nothing less than people deciding their future,” Lake Jr. said. A referendum resulting in independence as the preferred choice of voters “would not make St. Maarten independent,” said Lake Jr. “We have to prepare for that [independence – Ed. ].” Comments about the country and its people not being ready for independence is to think of the people as “immature and child-like” and to “insult” the many university graduates in the country, he said. Denicio Duzon, the youngest member of the Foundation’s panel appearing before Parliament, said his generation should have a say in the direction the county takes, pointing out that he was just 10 in 2000 when the last referendum that brought about the current country-within-the-kingdom status was held.